With the last release, Zerynth officially supports Arduino MKR1000, a device specifically designed for secure IoT projects. The MKR1000 is described as a powerful board that combines the functionality of an Arduino Zero (already supported by Zerynth) and the connectivity of a Wi-Fi Shield, with a Cryptochip for secure communication. The design also includes a Li-Po charging circuit that allows the Arduino MKR1000 to run on battery power or external 5V, charging the Li-Po battery while running on external power. 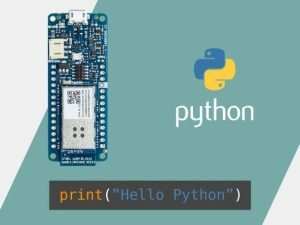 Now, programming the board in Python thanks to Zerynth Studio makes Arduino MKR1000 one of the best choices for the development of secure IoT battery-powered projects. Go to the dedicated page of the Zerynth Docs to get more info about this board. First of all, of course, you have to download and install Zerynth Studio, our cross-platform IDE for embedded and IoT development. If you didn’t do it yet, download it here for free! Once you’ve installed it, open Zerynth Studio and create a Zerynth user account. 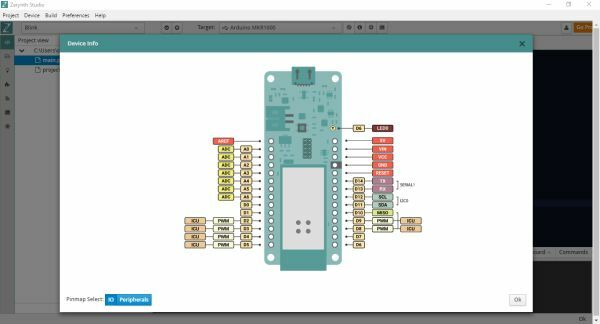 To recognize the device, Windows machines require drivers that can be downloaded from the official Arduino MKR100 page, while OSX and Linux machines will recognize the board automatically. Once connected to a USB port, if drivers have been correctly installed, the Arduino MKR1000 board is recognized by the Zerynth Studio and listed in the Device Management Widget. To register and virtualize the board, Arduino MKR1000 MUST be put in virtualization mode by double clicking the RST button. Then select “Arduino MKR1000 Virtualizable” on the Device Management Widget and register the device by clicking the “Z” button. Put again the board in virtualization mode by double clicking the RST button and create a Zerynth Virtual Machine for the device by clicking the “Z” button for the second time. Now you can virtualize the device by clicking the “Z” button for the third time. You can find more info about the virtualization process in the relative doc. Now you can start to program your Arduino MKR1000 in Python! Zerynth Studio includes a lot of examples that you can clone with just a few clicks. Clicking the third button of the toolbar you can get the pin map of the device. 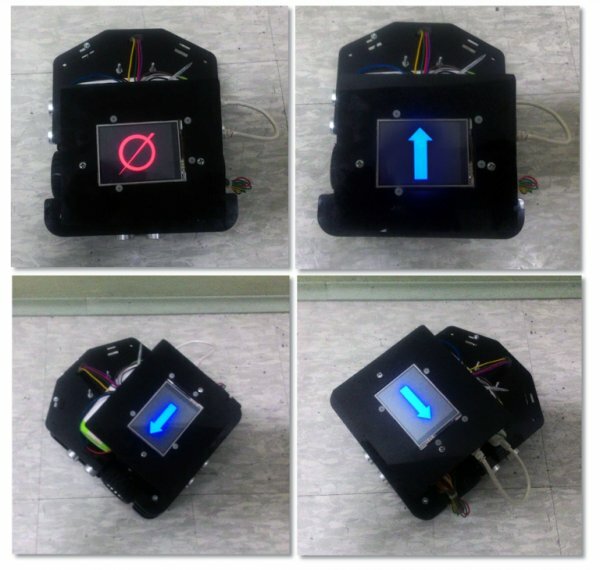 As you can see from the figure, the onboard LED is connected to the pin D6. However, Zerynth abstracts the board layout allowing to use LED0, LED1, etc as led names. In this example, LED0 is used. Once you have cloned the example, uplink the code to your board and resetthe device by pressing the RST button when asked. Done! Now you can see the LED of your MKR1000 turn ON and OFF thanks to a Python script running on the board! A plus of this board is its ability to access to a WiFi network through a wifi chip with SSL/TLS hardware support. Zerynth helps you exploit this functionality in an easy and effective way: you just need to import the lib.microchip.winc1500 library in the Zerynth script! An example to simplify your job and let you get started with a few clicks is already available: just clone the “Secure HTTP” example as done for the “Blink” example and you’re almost done! Below you can see the code. You have just to change “Network-Name” and “Wifi-Password” to match your actual network configuration. Easy, isn’t it? # in order to control the board hardware. # init the wifi driver! #       uncomment the following line! This simple script connects to https://www.howsmyssl.com/a/check and displays info about the SSL/TLS connection on the serial monitor, as you can see in the figure above. Take a look at the ssl module in the standard library to spot how to expand this example. One of the most important challenges of battery-powered IoT devices is how to maximize the battery life. To meet this specification, Zerynth has included the “Firmware Over-the-Air” feature within the Zerynth Virtual Machine Premium version, that also includes industrial-grade features like Power Saving and Hardware-driven Secured Firmware burned on the device at industrial volumes.